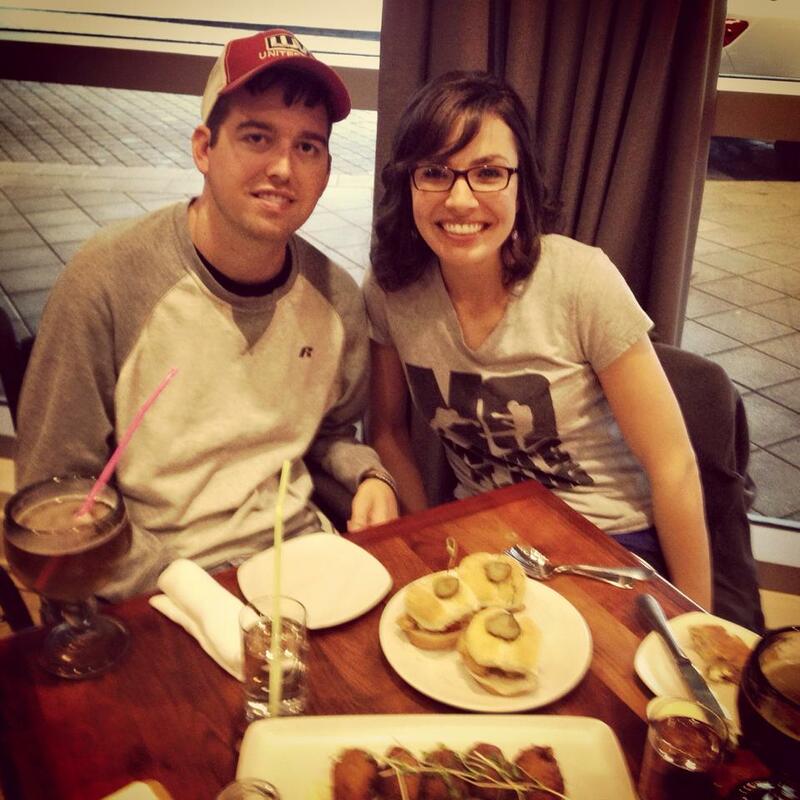 My Fiancé Sarah and I arrived in New Orleans on a Tuesday night at 9 pm. We went straight to our hotel to rest up for the big week ahead of us. We were pleasantly surprised to walk in to our hotel room and see the bed covered with Team Gleason and Mardi Gras swag. A TG flag, t-shirts, bracelets, stickers, decals, tickets to a Pelicans game and Annie, Mardis Gras beads, feathers, and a King Cake (Google it, it’s a delicious and fun tradition). Wednesday was pouring rain all day. So, we dedicated the day to staying inside eating delicious food and drinking great local beer. That night the rain subsided, and we made our way to the Pelicans vs Thunder game. Great seats and hospitality from the arena staff. The game was tight til the end. Westbrook went off for a career high 45 points. Thursday was our day for exploring the city. Started out having a fun breakfast at a local spot called Jimmy J’s. The waiter was hilarious. He entertained the small room with voodoo stories and magic tricks. We then made our way to beautiful Jackson square. Listened to talented jazz street performers, walked around the historical cathedral, then headed to the French market. Made our way through the market then walked along the great Mississippi River. We took Bourbon street back to our hotel. Ooooofta! And I thought the Vegas strip was wild! Had some dinner and New Orleans signature drink the Hurricane, then called it a night. 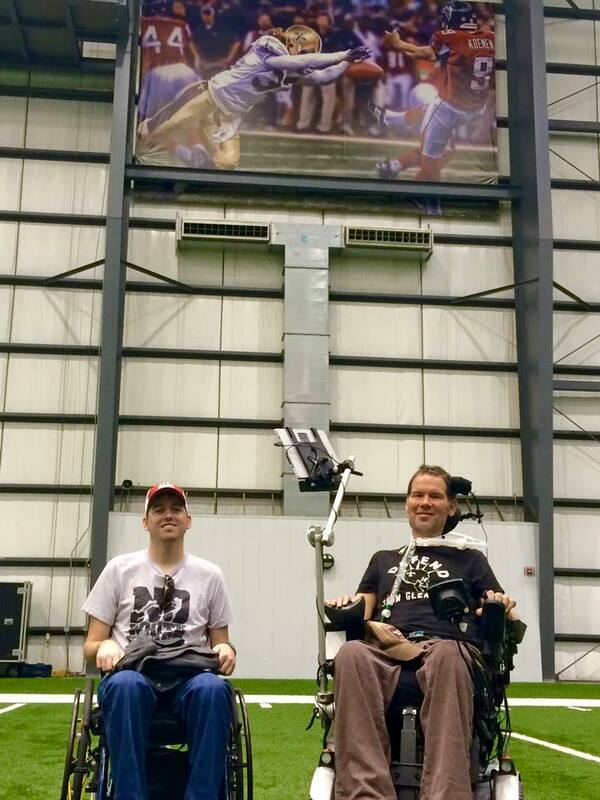 Friday we celebrated Sarahs birthday with Team Gleason. We hailed a cab and made our way to the Saints training facilities. Tommy of TG met us in the lobby and took us on a tour. Saw a couple pictures on the wall of Steve sporting the goldi-locks hair do. He’s a big deal all around the world, but he’s a really big deal to the Who Dat nation and the city of New Orleans. Sarah waited in the hall while Tommy took me into the locker room, (didn’t want to give her to much of a culture shock!). Chatted with some equipment guys and met a player who might have been related to the Incredible Hulk. Felt like I was a toddler shaking his hand. Nice guy. We rejoined Sarah and made our way into the cafeteria shared with the Pelicans. We pulled up to visit with Rob Ryan and a table full of staff. All very nice guys. We then got the pleasure to finally meet Lauren of TG, (she set up our trip and is AWESOME). Spent the rest of the time before Steve showed up visiting with Steves old coach Greg McMahon. Just a really kind, genuine guy, and he wasn’t going anywhere until he got to say hi to Steve. Once Steve and Blair of TG arrived we spent a while visiting. Then we all went and played around in the indoor field and weight room. Took some photos with Steves iconic punt block banner in the background. Steve was gracious enough to invite us to check out his home automation. He showed us how he runs his eye gaze and home automation, helped answer our questions in regards to my eye gaze, and was sincerely interested in making sure we were set up well. We got to meet Steves beautiful family. We then had birthday dinner for Sarah, went to Annie, and caught the tail end of a Mardis Gras parade. Awesome day full of unforgettable memories. Takeaways: New Orleans culture, it’s food, it’s people, it’s everything are incredible! I now love the Saints and will root for them as long as they’re not playing the Steelers. 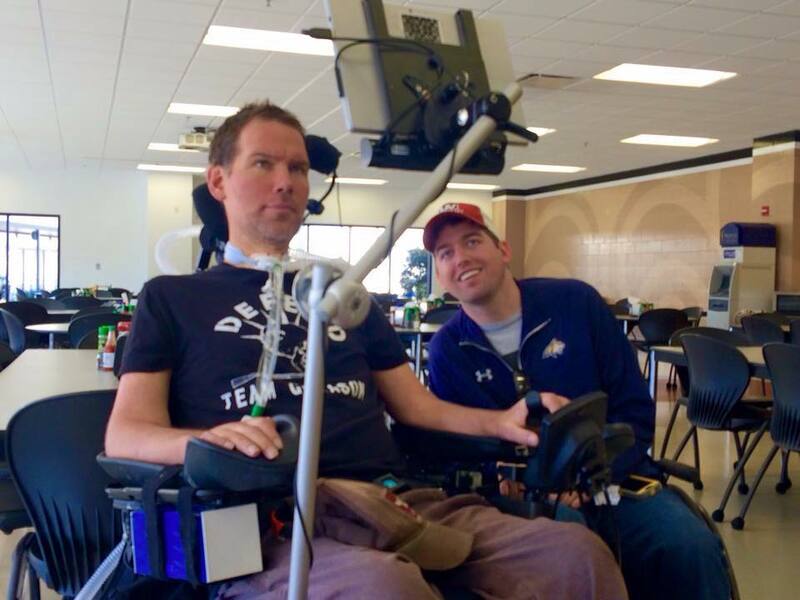 Steve and the rest of Team Gleason are some of the most special people on earth. 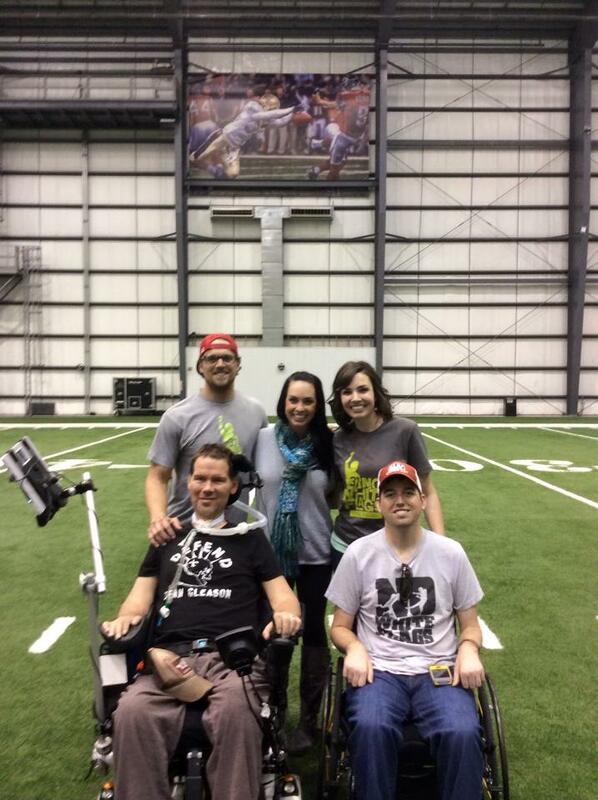 Sarah and I are so grateful to TG for hosting on our adventure, and for everything they do for the ALS community.